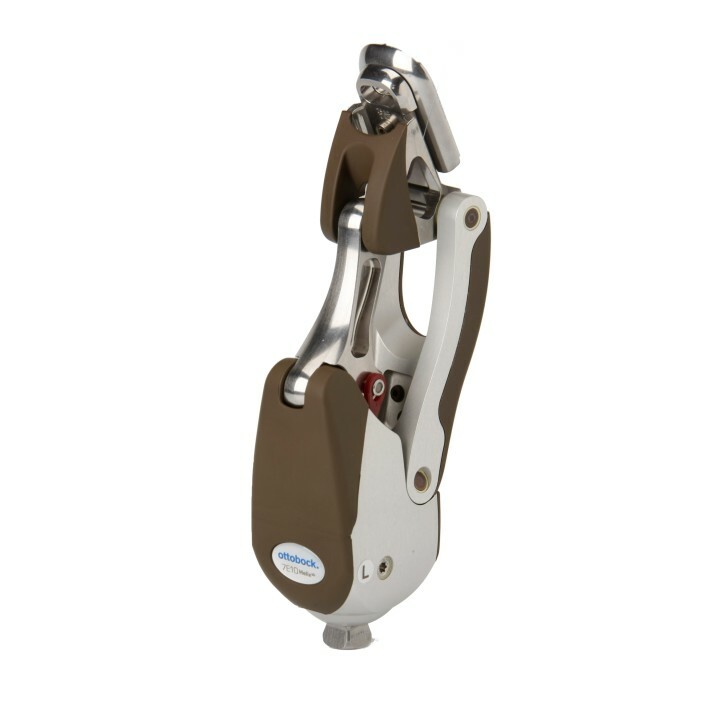 The Greissinger prosthetic foot compensates for surface irregularities and therefore provides a feeling of safety while walking and standing. 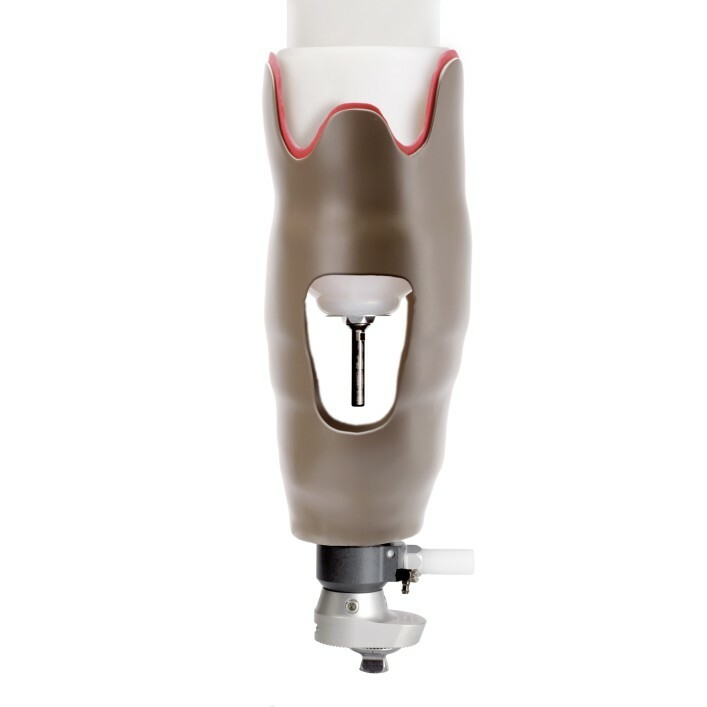 New 3R60 knee joint technology with a low net weight adapts to the needs of the user and relieves strain on the residual limb, hip and spine. 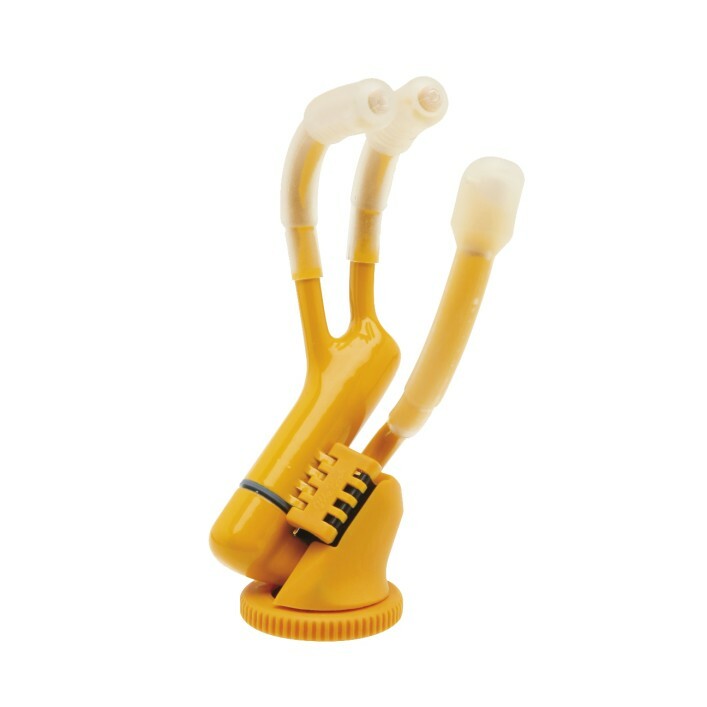 Prosthetic knee joint with high flexion angle and low net weight, providing optimum support for the child's urge to move. 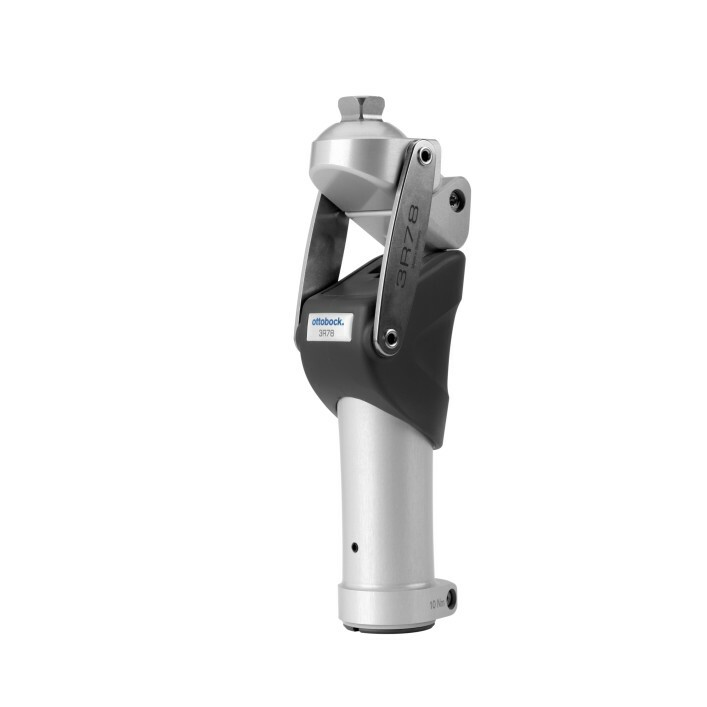 The 3R78 prosthetic knee joint offers security in the stance phase and harmonious movement patterns in addition to a high flexion angle. 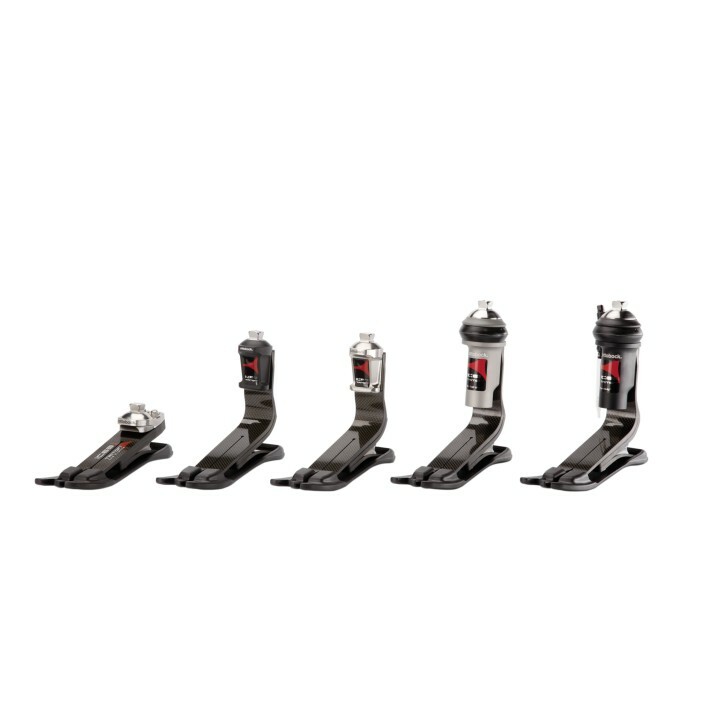 Since the 3R80 knee joint makes it possible to walk on uneven ground in particular, it offers more freedom of movement and greater independence for prosthesis wearers. 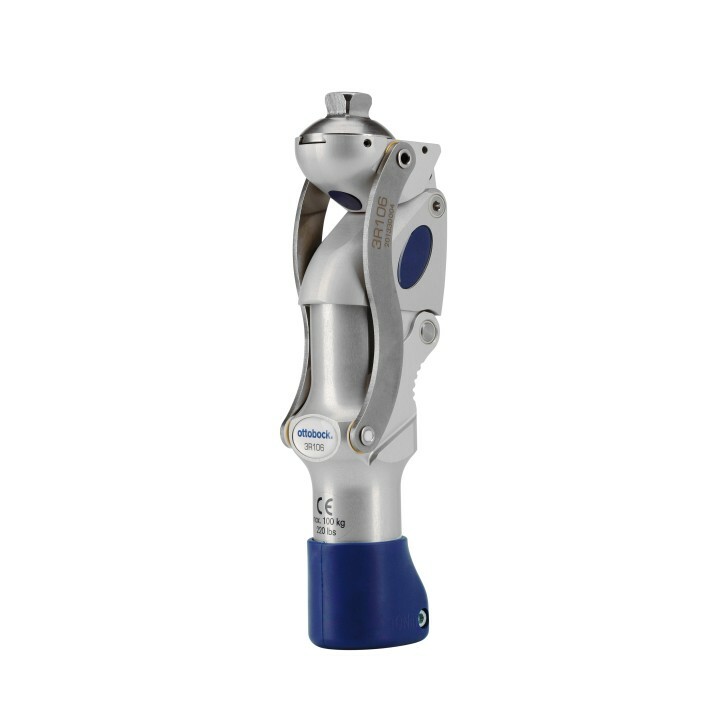 The 3R95 lightweight knee joint for active users features two different flexion angles and is particularly well suited for women and youths. 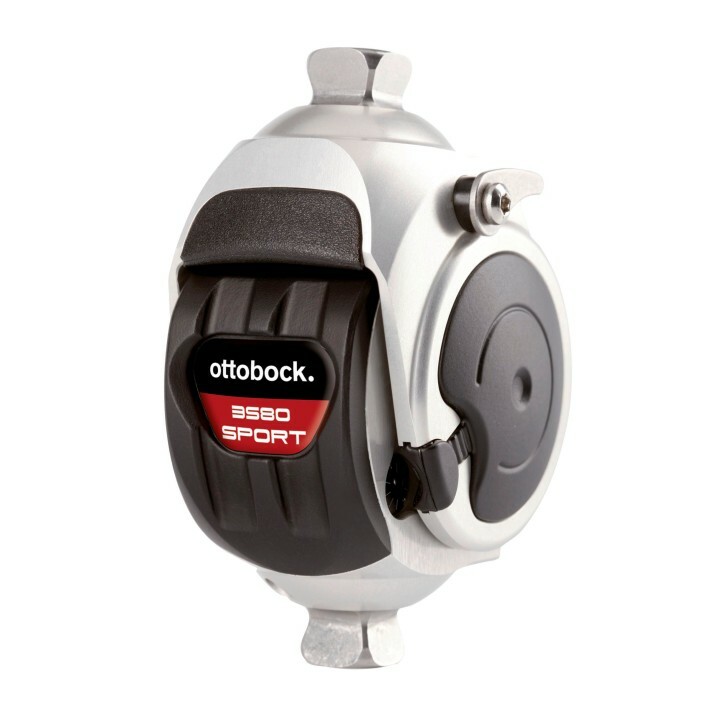 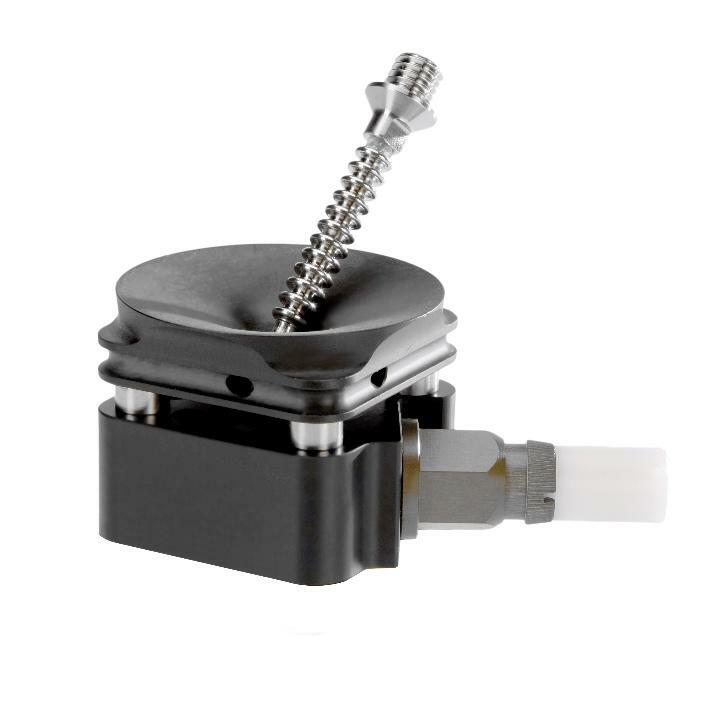 The 3S80 Sport knee joint in combination with the 4R204 Sport foot adapter and the 1E90 carbon spring foot is ideal for sporty transfemoral amputees who enjoy running. 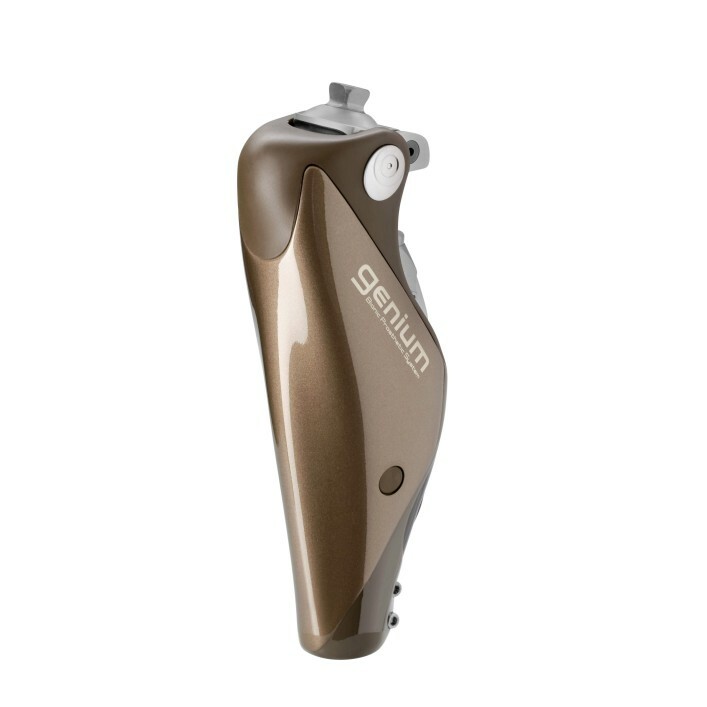 The Helix 3D prosthetic hip joint offers a natural gait pattern, reduced risk of falling and optimum sitting characteristics. 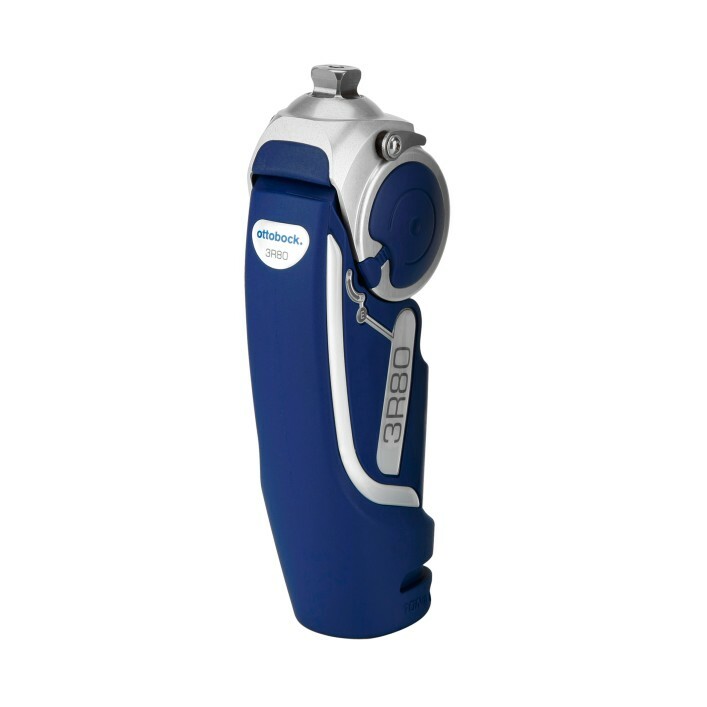 Thanks to innovative technology, the AeroLink vacuum system with no sealing sleeve provides transtibial amputees with more freedom of movement. 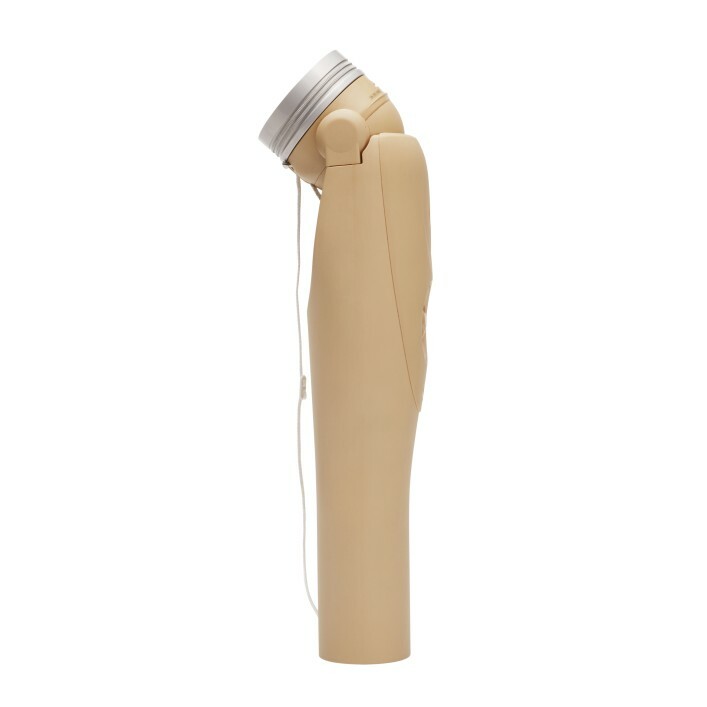 Anatomically shaped liner, with good adhesion and yielding characteristics, ensures good pressure distribution and reduces pressure and friction pain in the prosthetic socket. 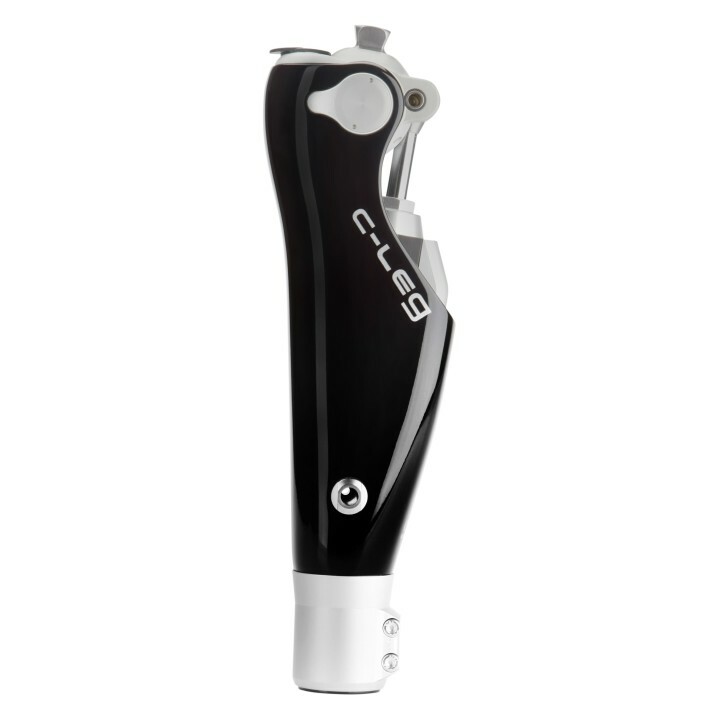 C-Leg compact leg prosthesis system for transfemoral amputees with a low activity level and increased need for safety. 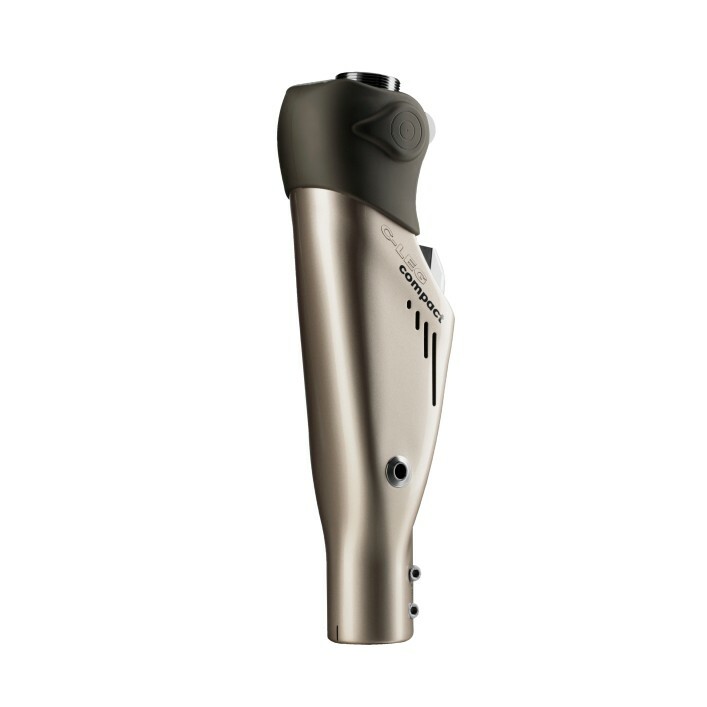 The C-Leg high-tech leg prosthesis system represents extensive freedom of movement and safety for transfemoral amputees. 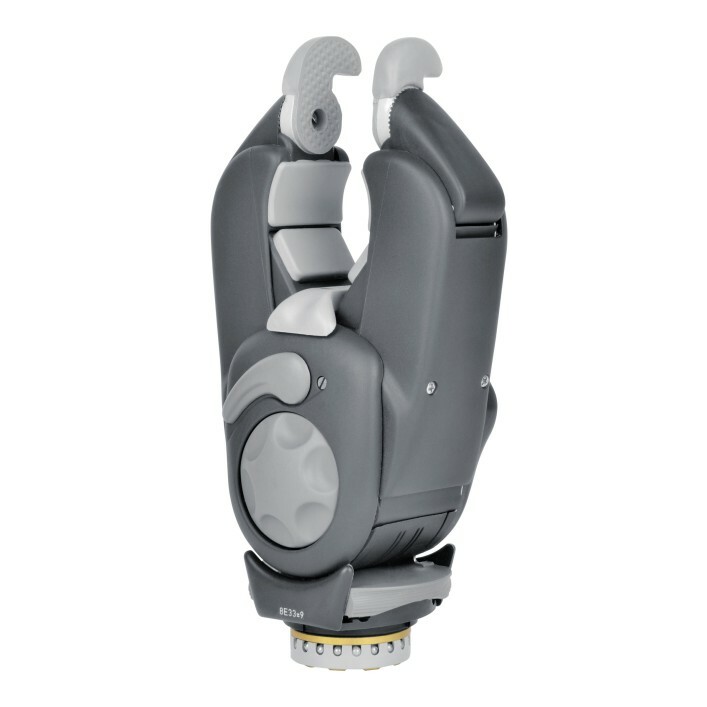 With sophisticated functionality, the electronically controlled 12K100N DynamicArm in an inconspicuous colour helps upper arm amputees achieve more independence. 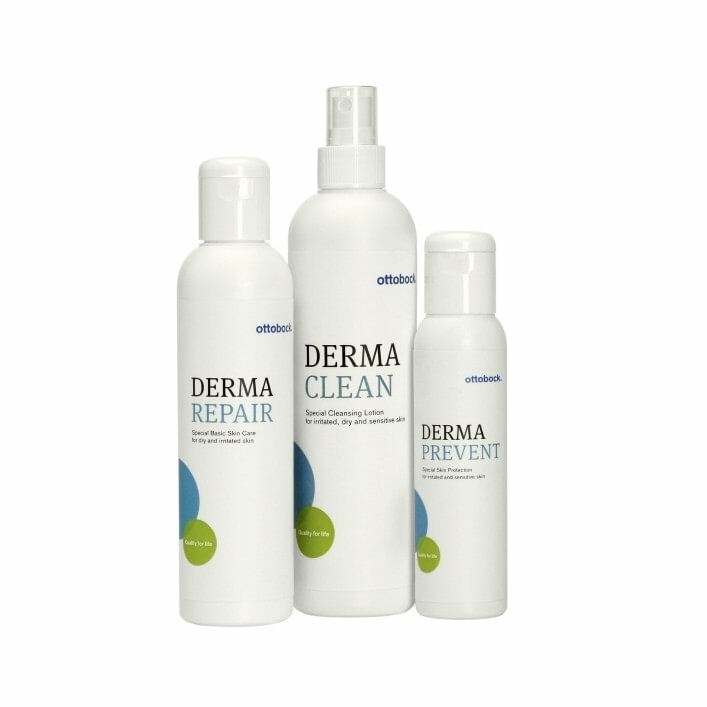 The DERMA skin protection series offers optimum protection against skin problems such as chafing, perspiration and odour formation on the residual limb. 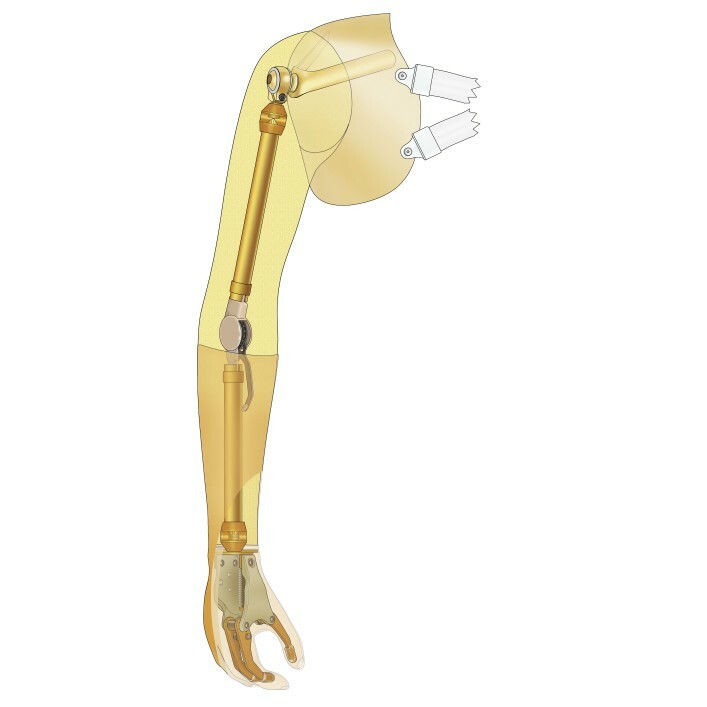 After an upper limb amputation, children can once again largely experience their world with their hands thanks to the lightweight electric hand for children. 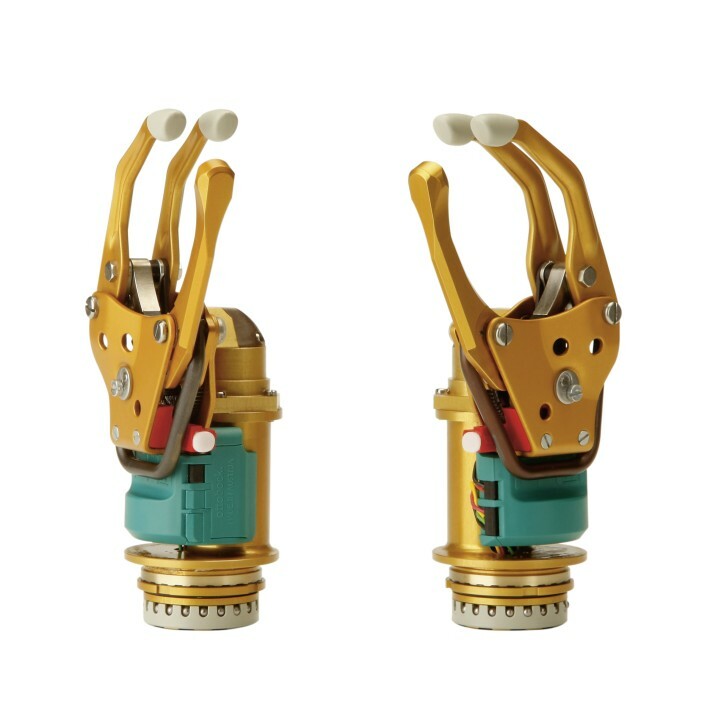 The ErgoArm®, ErgoArm® plus, ErgoArm® Hybrid and ErgoArm® Electronic plus elbow components offer high functionality, low weight and an attractive appearance. 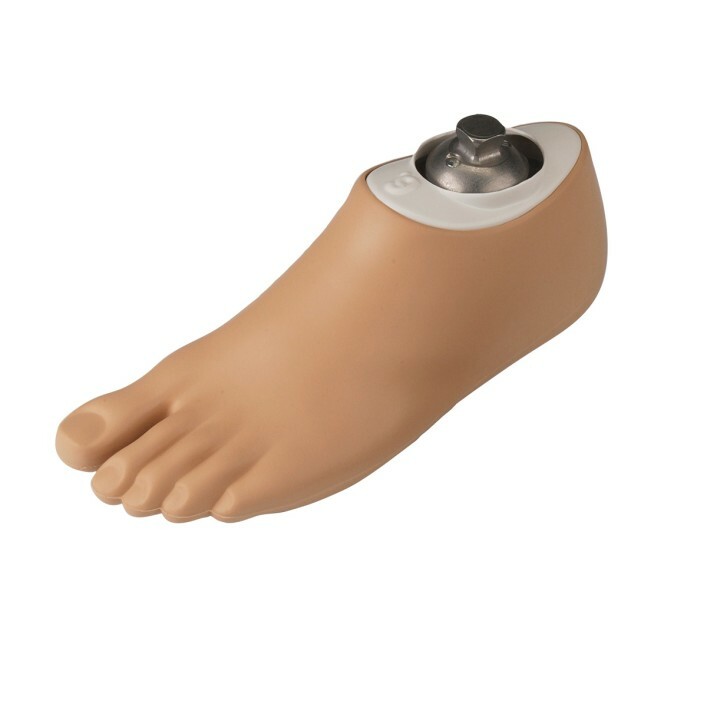 Active vacuum fittings with the electronic Harmony E2 pump are easy to use and ensure high prosthesis adhesion on the residual limb. 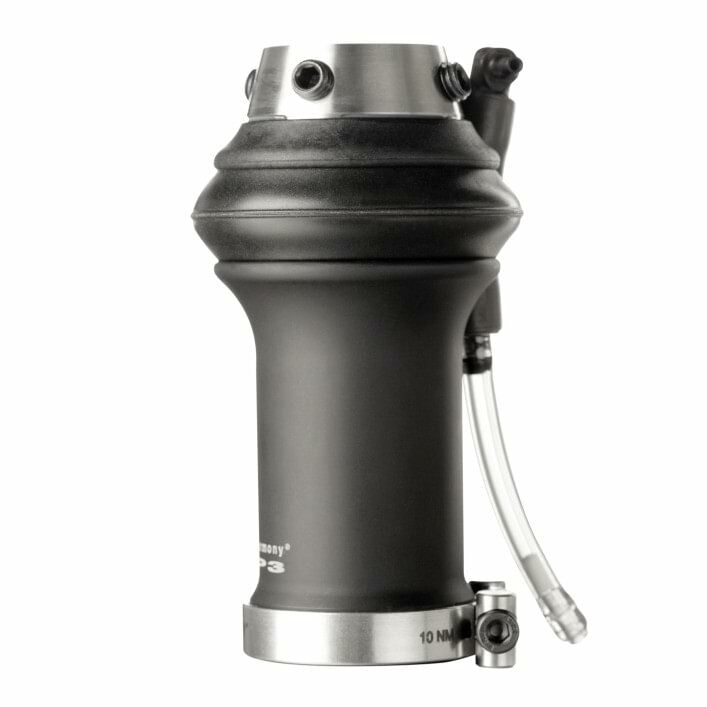 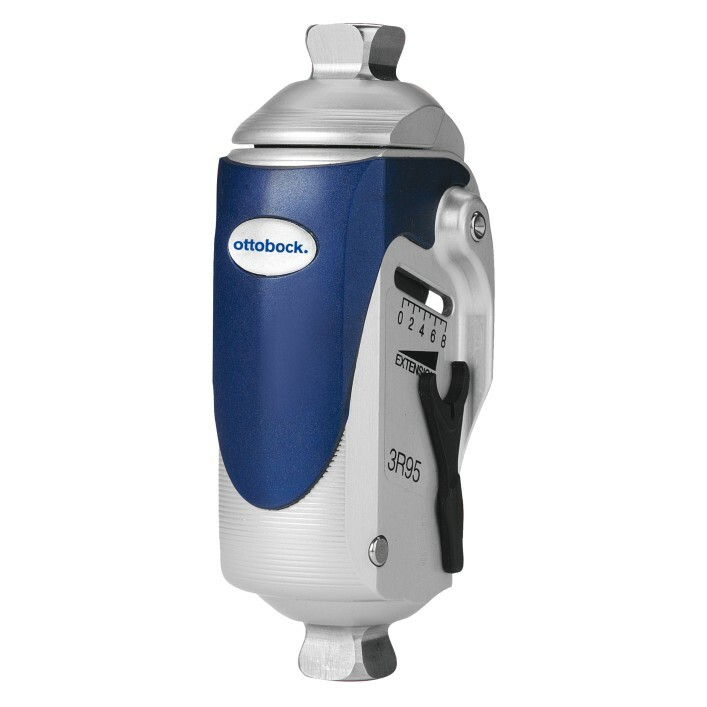 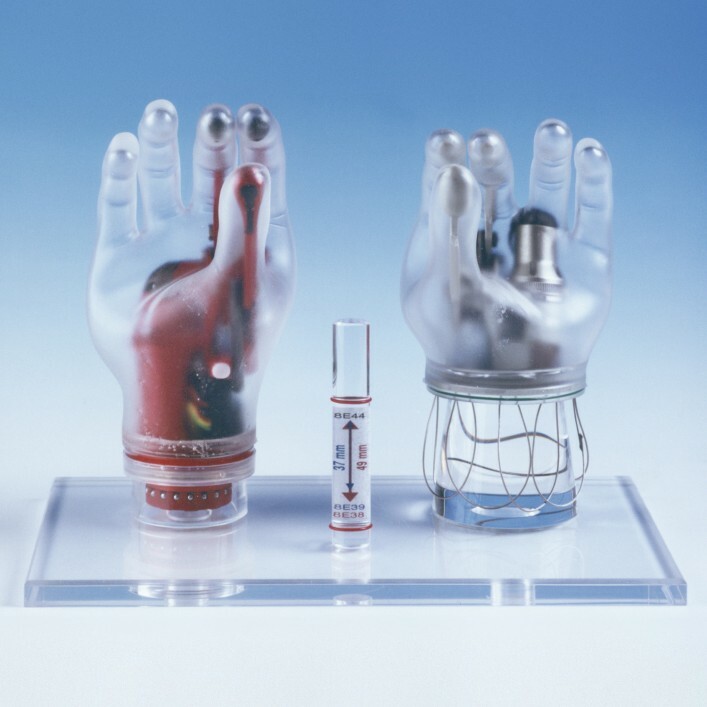 The vacuum system with the mechanical Harmony P3 pump provides good adhesion in the prosthetic socket that minimises impacts and tensile forces. 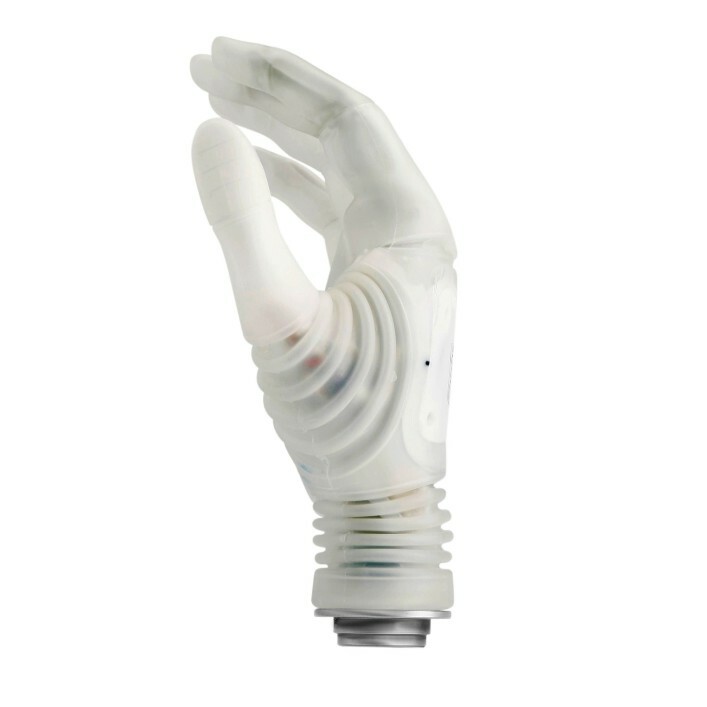 As the heart of the Axon-Bus prosthesis system, the Michelangelo Hand offers a natural appearance and great freedom for the user. 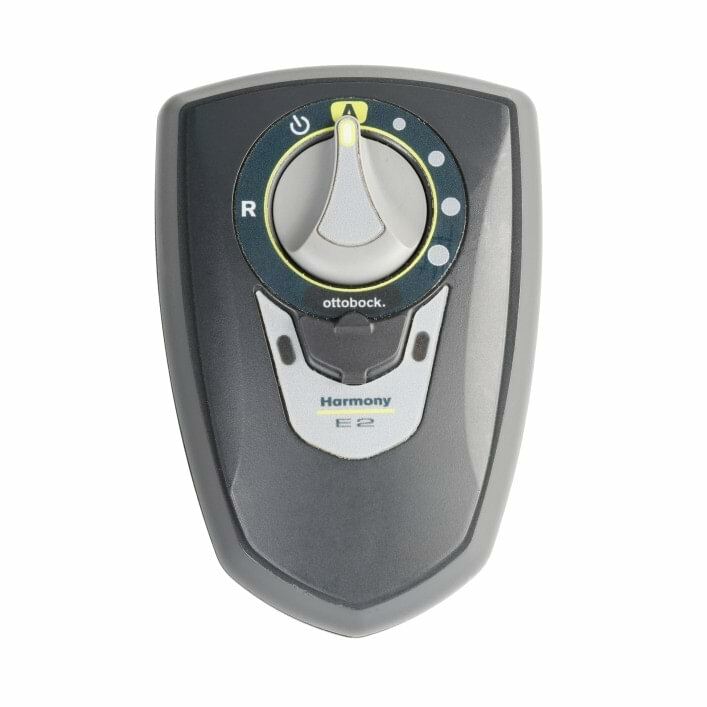 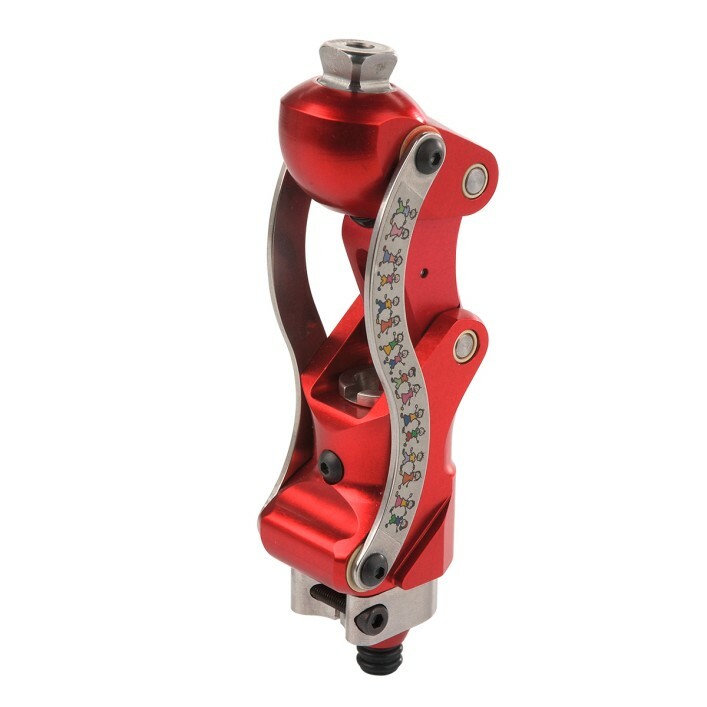 The MyoHand VariPlus Speed, a combination of the SensorHand Speed and DMC VariPlus system electric gripper, sets itself apart with high gripping force and speed. 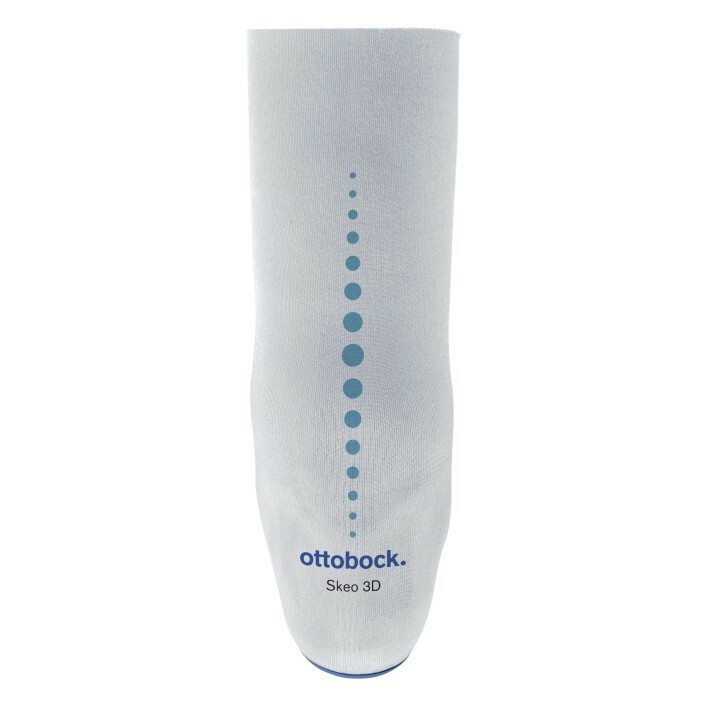 The anatomically shaped Skeo 3D 6Y77 and 87 silicone liners for transfemoral and transtibial amputees ensure comfort in the prosthetic socket. 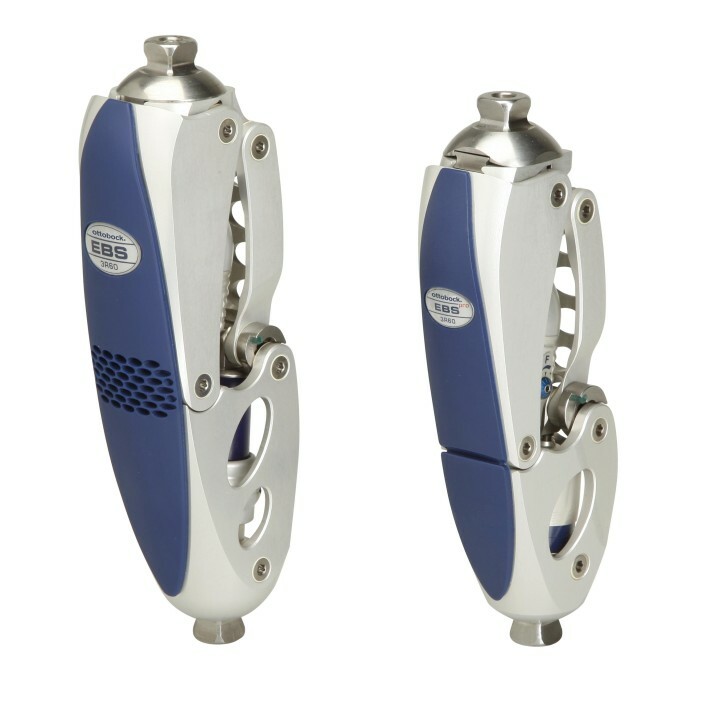 The gripping force and gripping speed of the highly developed DMC plus electric gripper are based on the sensitive response patterns of the human hand. 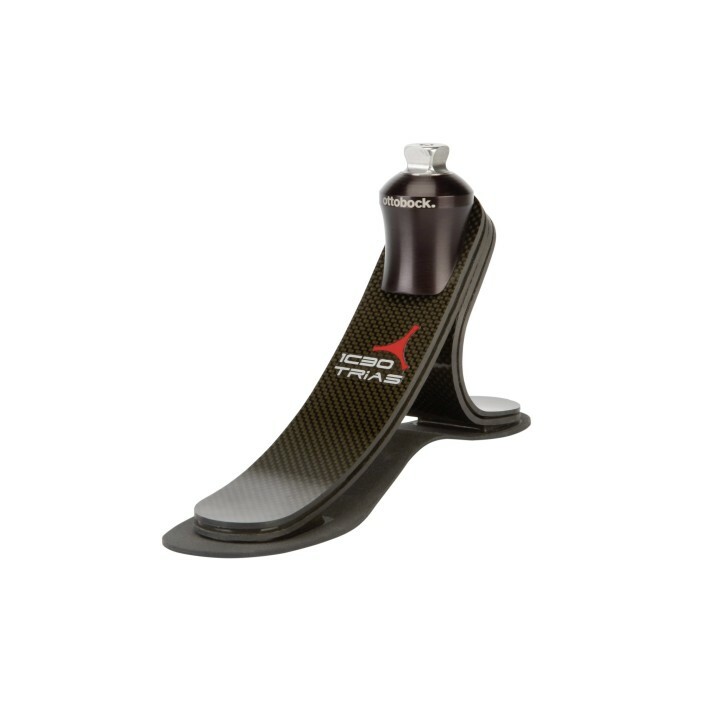 Prosthetic feet of the Triton family of products allow highly active users to achieve maximum mobility and lead a self-determined life.